As Texas' transportation needs multiply, voters in the rapidly growing state will be asked Nov. 3 to consider a way to pay for those needs. On Nov. 3, Texas voters will be asked to consider Proposition 7, a constitutional amendment created to address the state’s growing transportation needs. This photo shows traffic in Dallas. Proposition 7 is one of seven Texas constitutional amendments on the statewide ballot; early voting continues through Oct. 30. 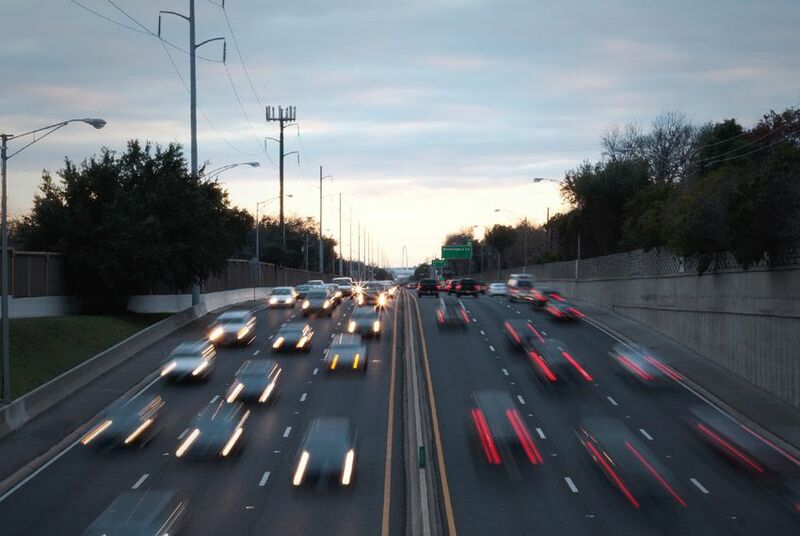 Under the amendment, the state comptroller would direct some of the taxes collected on car sales to the State Highway Fund, which is used to maintain and construct public roadways and bridges. If approved by voters, the money would be used for road projects and to decrease transportation-related bond debt. It could not be used for toll roads. Specifically, if the state sales and use tax revenue reaches $28 billion in a given year starting in 2017, the additional money — up to $2.5 billion — would go to the highway fund. In addition, starting in 2019, 35 percent of state motor vehicle sales and rental tax revenue that exceeds $5 billion would go to the fund. Many key state officials — including Gov. Greg Abbott, Lt. Gov. Dan Patrick and House Speaker Joe Straus — support the proposal. In February, Abbott named transportation funding as one of his five emergency items for the 2015 legislative session. State lawmakers decided to ask voters to approve the measure to create a consistent source of revenue for transportation. “Proposition 7 prioritizes transportation by providing a reliable funding source for road projects,” Straus said in a statement. “This election is very important to the future of our economy." The proposal doesn't have any significant organized opposition, but critics say pumping money into new roads won't solve the state's transportation problems. They also argue the amendment would tie up money that should be used for other purposes. "The lack of flexibility is going to leave future Legislatures to deal with budget issues," said one critic, Dallas City Council Member Philip Kingston. "If we have a downturn in the future, what is going to be the effect of Proposition 7 on education and mental healthcare spending?" Texas Transportation Commissioner Tryon Lewis said the amendment would provide new, consistent funding streams for highway construction that would allow Texas Department of Transportation to shift its approach away from toll roads. Last November, Texas voters added $2.5 billion from a portion of oil and gas tax revenues to the highway fund. During the 2015 legislative session, budget writers increased TxDOT's funding by redirecting about $600 million a year of gas tax revenue previously used for items other than road construction and maintenance. The department's budget for the 2016 fiscal year is just above $12 billion. During a legislative committee hearing in September, the Texas A&M Transportation Institute testified that the state needs an additional $5.7 billion per year through 2030. Kingston said that number is “completely bogus,” and is meant to scare the public. TxDOT spokesman Nick Wade said the agency needs more money as the state keeps growing. He said the department currently has 2,169 projects under construction across the state, at an estimated cost of $16.6 billion. The provisions from the proposition would not last forever. The amendment would limit the time for money being taken from the state’s sales and use tax revenue to 10 years. It would also limit the deposit of state sales and use tax revenue to 15 years unless extended by the Legislature. State lawmakers would be able to reduce the amount of the taxes used with a vote from two-thirds of both chambers. Kingston said if legislators are looking to fix transportation issues, they need to look to a mass transit system or other cleaner forms of transportation. “We simply cannot build highway capacity to build our way out of congestion," he said. "That has failed time and time again."